Sue Schade is a nationally recognized health IT leader and Principal at StarBridge Advisors providing consulting, coaching and interim management services. 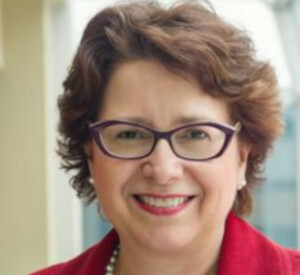 She recently served as interim Chief Information Officer at Stony Brook Medicine on Long Island and at University Hospitals in Cleveland, Ohio. Sue has more than 30 years’ experience in healthcare information technology management and was recognized as the CHIME-HIMSS John E. Gall, Jr. CIO of the Year in 2014. Sue served as Chief Information Officer for the University of Michigan Hospitals and Health Centers from 2012-2015 and as Chief Information Officer of Brigham and Women’s Hospital in Boston from 2000-2012. Sue served on the CHIME Board from 2004 to 2006 and chaired its Education Foundation Board from 2006 to 2009. She served on the HIMSS Advocacy and Public Policy Steering Committee from 2009-2011 as well as the CHIME Policy Steering Committee. Sue achieved fellow status with both HIMSS and CHIME. She is currently serving on the board and executive committee of AAMI and the CHIME Education Foundation Board. She is a regular speaker and writer within the HIT industry including a weekly blog called Health IT Connect at www.sueschade.com. She holds an MBA degree from Illinois Benedictine College in Lisle, Illinois.